You are probably waiting for a go-ahead to start a new, big construction project, or may be the target client has already signed a pact that you can start the project. However, there is one more important that you need to do, and it is very important: you need to sign a construction agreement. Also called the contract of agreement for architecture, the document outlines the rules that will govern the project you are about to start, and the relationship between you and the client. Use the following Construction Forms. You can also check construction estimate forms. If you intend to take a construction loan from a public or a private lender, you can use this form to make a request for the finances. Note that the repayment dates for the loan differ depending on the agreement. The contract between a contractor and a client must be as comprehensive as possible. 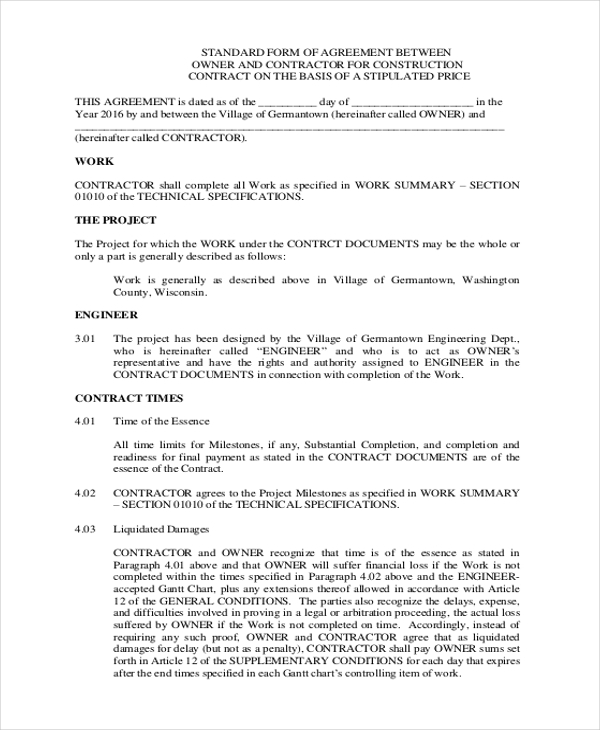 You can use the following contract agreement form as you are looking for a comprehensive model to simplify the work. An agreement between you and the client must specify the management policies of the project and the terms and conditions of the construction management. Seal the deal by signing it. 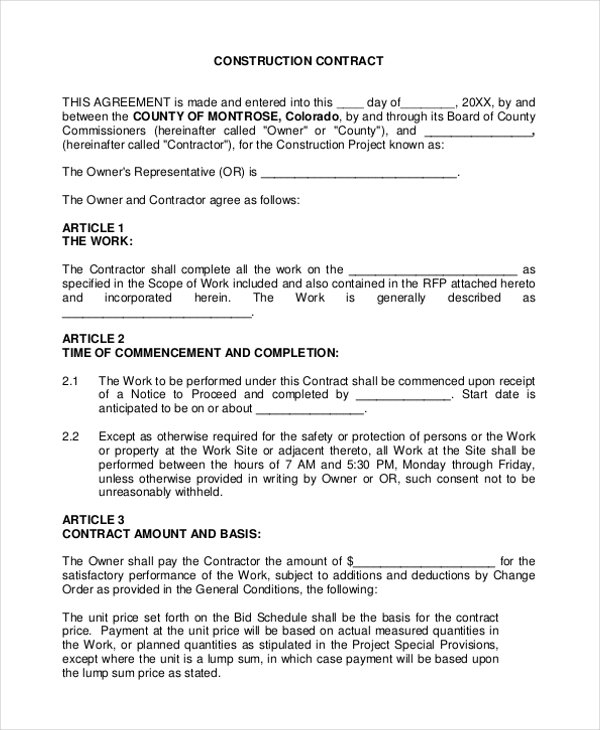 The danger of verbal contract demands a written contract of agreement for a construction project. 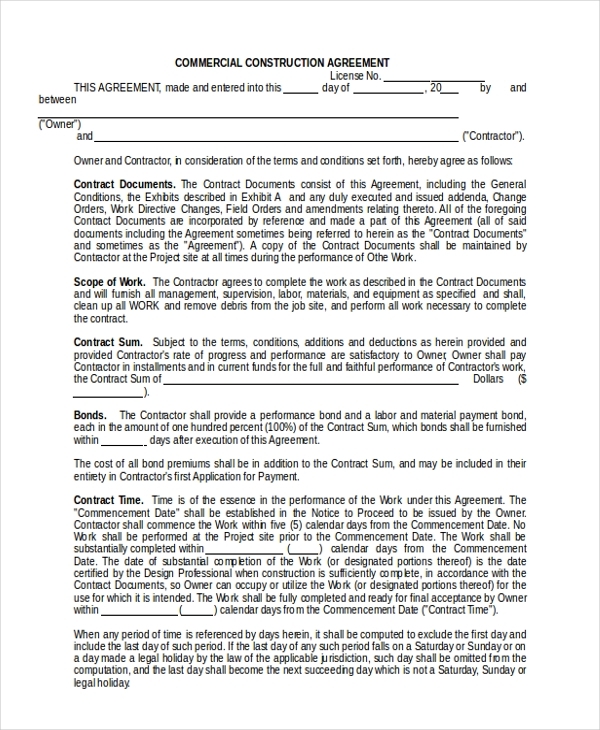 An agreement form can help you seal the deal, and the following is the form to use. A residential construction project often takes too long depending on the needs of a customer, so there must be some sort of solid agreement to govern the relationship. Use the following form for help. A pact between your construction and a potential client should be rock-solid. The terms and conditions of the service must be friendly and easy to understand before the construction work begins. 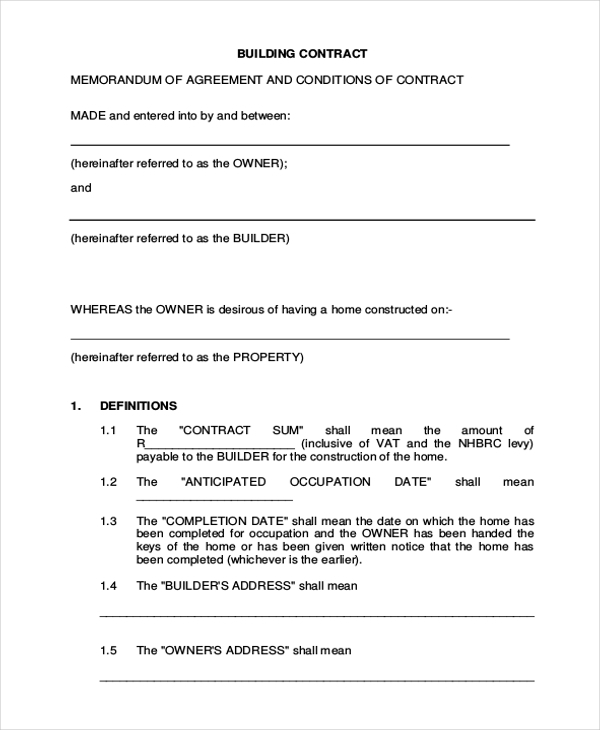 The contract between an owner and a construction manager must be a legal binding deal between the two parties. 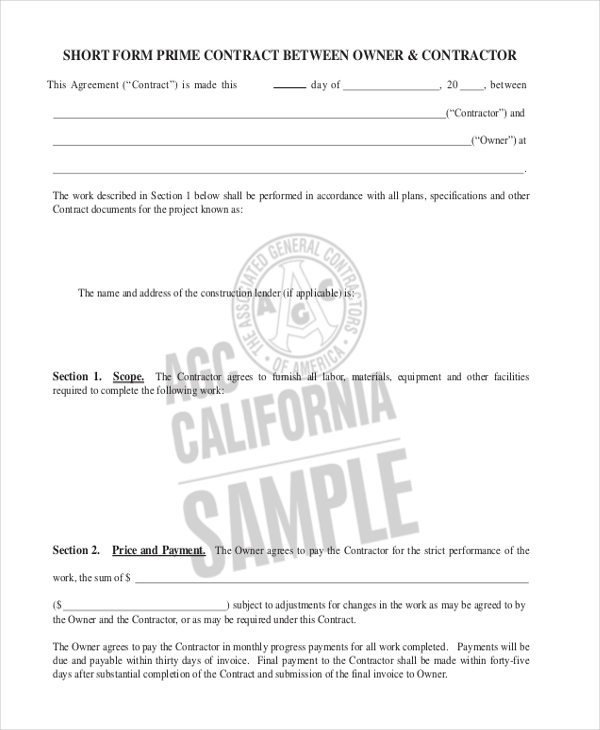 The following sample form template can help you write the agreement quickly. 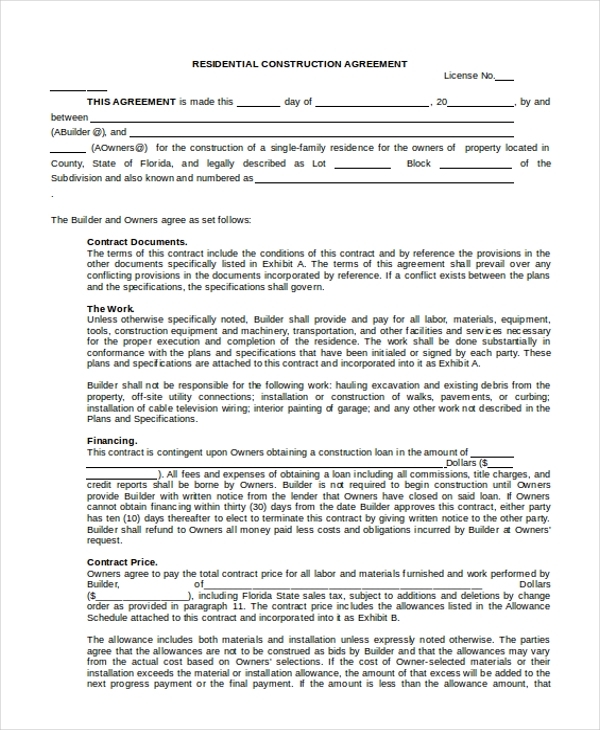 As a contractor, you should sign a contract with a project owner before the project begins. Doing that is the only sure way to ascertain that the construction project will start well and end well. 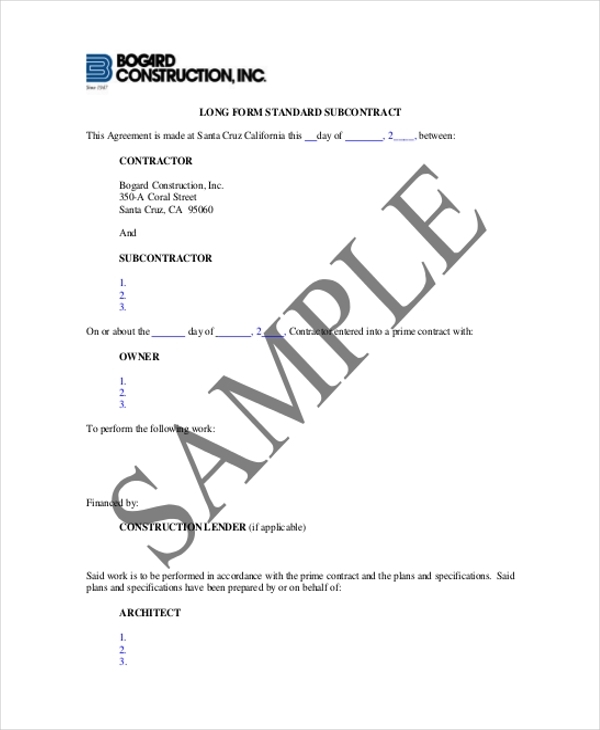 Use this form to sign a subcontracting agreement. It is important to understand that the agreement outlines the necessary steps that minor contractors must take and the rules they must observe during the construction project. The next road construction deal may look too good, but if things go wrong and there was no agreement written to manage the deal, the entire business will be as good as dead. 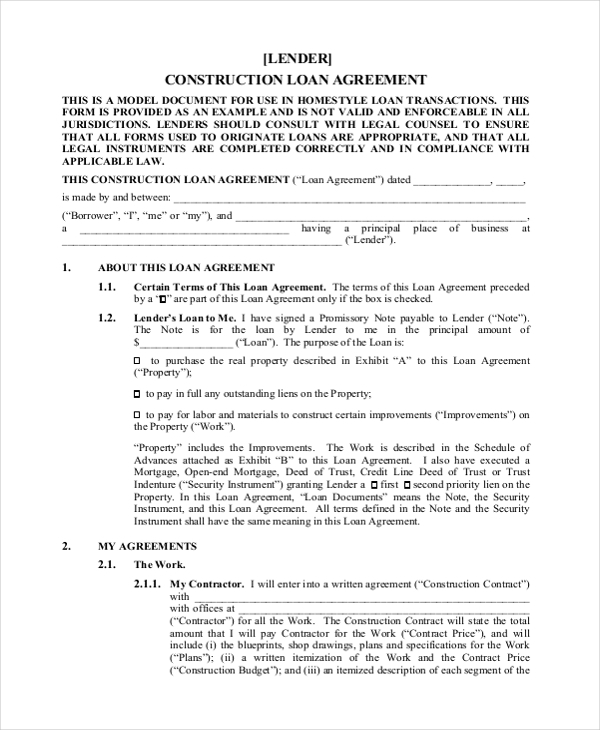 What are the Uses of Construction Agreement Forms? 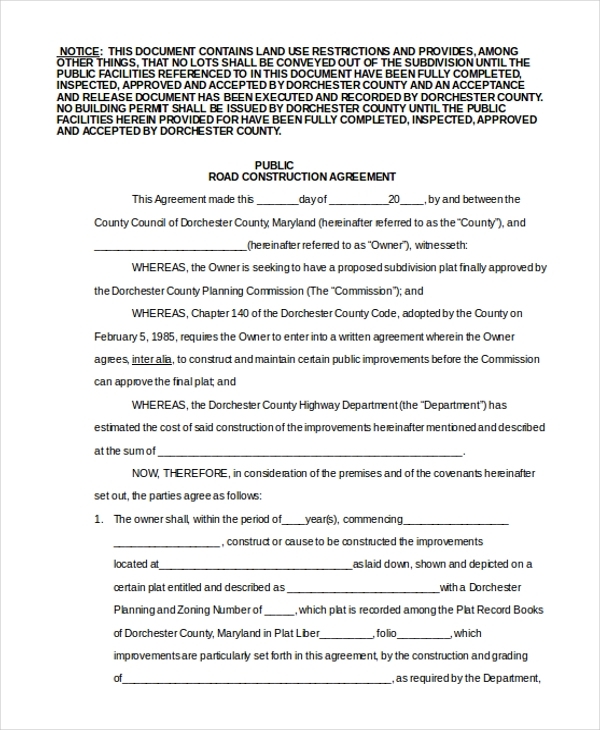 Who Should Use the Construction Agreement Form? Writing an agreement and presenting it to a potential customer for reading is half the job complete, but the contract is the contract is not legally binding just yet. The other half part of the job is to sign the contract; in fact, the only way to make a construction agreement legally binding is by signing the contract.